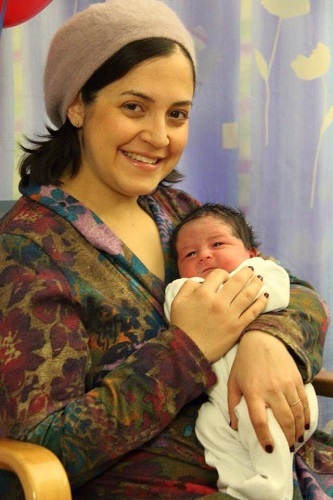 The son of Ayala Karsanti (Applebaum) was the first baby of the year to be born at Hadassah’s Hospitals, weighing in at 8 pounds, 10 ounces. Born at 3:03 a.m., he is the third son of his Hadassah-born mother. The year 2016 was a banner one for Hadassah births: 12,000 babies born at the two campuses– Hadassah Ein Kerem and Hadassah Mount Scopus. “The increase in births shows that women are choosing the most devoted and welcoming place to give birth,” noted Director General Ze’ev Rotstein, as he marks one year at the helm of the Hadassah Medical Organization.